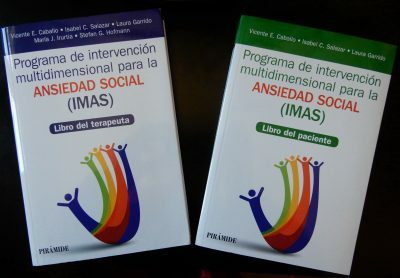 During the IX Ibero-American Congress of Clinical and Health Psychology, it will take place the international launch of the Multidimensional Intervention for Social Anxiety (MISA) program in Spanish, Portuguese, and English. This program is composed of two books (therapist and patient) and is currently being applied in Spain and several Latin American countries. The MISA program reflects the work that our research group has carried out over more than 15 years on social anxiety in Spain, Portugal and 18 Ibero-American countries. The results of this research have served as the basis for developing the current Multidimensional Intervention for Social Anxiety (MISA) program. This program, unique at the international level, combines usual techniques of cognitive behavioral therapy, such as cognitive restructuring, exposure or social skills training, with processes of the so-called third generation therapies, such as acceptance, defusing of thoughts or mindfulness. During the congress, Professor Vicente E. Caballo will explain in detail the MISA program through a workshop and will present the main characteristics of it in a lecture.